Well it's been just over a year now since we 'got to the far side', so I wanted to send out a quick update to let you know what we've been up to. 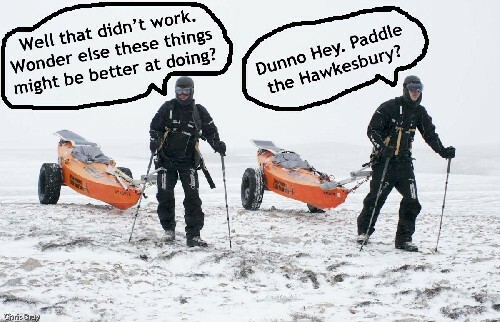 Clark too slipped back to the hum-drum life of an Adventurer, working like a mad-man with his expedition mate Ryan Story to compete in this year's Indian Ocean Rowing Race, only to have to pull out at the last minute when their major sponsor pulled out! So Clark's been busy finishing his film degree (He says he'll complete it in October this year! Ha ha, that has to be the longest '3-yr degree' in history Clark!). He has also been busy with some film jobs including working on the 1000 Hour Day Expedition and the Indian Ocean rowing race 2009 documentaries (for the entire race!). Oh, and his next big adventure has just been (partly) released! 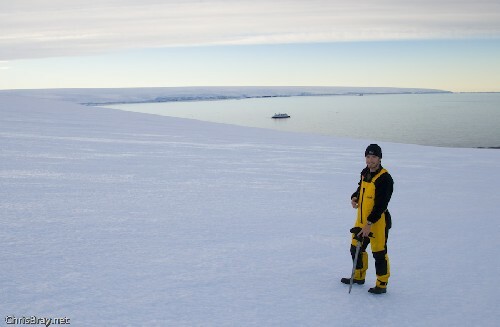 He plans on heading to Antarctica with fellow adventurers James Castrission and Justin Jones (the 'Crossing the ditch' kayaking boys!). Long story short, it's going to involve man-hauling sleds to the South Pole, but with a 'twist'. Stay tuned to the www.ClarkCarter.com website for that one! In between all that, we've both been basically running the Australia and New Zealand chapter of 'The Explorers Club' (I'm their new Chairman, and Clark's the Program Coordinator), so that's been fun. Righty-oh, better get stuck back into my day... Hope you're all well. This is one of the most exciting books I have read in rneect years. In collaboration with others, Perkins briefly reviews the key details of the Shackleton Saga before shifting his attention (in Part One) to ten leadership strategies which, he correctly suggests, have direct, indeed compelling relevance to the contemporary business world. They are:1. Never lose sight of the ultimate goal, and focus energy on short-term objectives.2. Set a personal example with visible, memorable symbols and behavior.3. Instill optimism and self-confidence, but stay grounded in reality.4. Take care of yourself: Maintain your stamina and let go of guilt.5. Reinforce the message constantly: We are one we live or die together. 6. Minimize staff differences and insist on courtesy and mutual respect.7. Master conflict deal with anger in small doses, engage dissidents, and avoid needless power struggles.8. Find something to celebrate and something to laugh about.9. Be willing to take the Big Risk.10. Never give up there's always another move.Examine any of today's great organizations and you will encounter an abundance of evidence of these ten lessons' effectiveness. In Part Two, Perkins provides four case studies based on Business Communication Systems (AT&T/Lucent Technologies), Rice Health Systems, Weyerhaeuser Company, and Malden Mills. The material in Part Three suggests lead at the edge and then, in an Epilogue, Perkins provides his perspective on success and failure. Part Four consists of various resources: Critical Leadership Skills Survey, Your Leadership Expedition: A Personal Development Plan, Your Leadership Expedition Map, Further Readings from The Edge, and a wealth of notes on the text.From the time that Ernest Shackleton set sail (December 5, 1914) on the Endurance with his crew of 26 seamen and scientists until he and his crew finally reached South Georgia (May 10.1916), he steadfastly followed each of these ten strategies. The challenges encountered along the way ( at the edge ) are almost beyond comprehension. All of these challenges are discussed in chilling detail in Caroline Alexander's brilliant study, The Endurance: Shackleton's Legendary Anarctic Expedition (New York: Alfred A. Knopf, 1999). If you have a taste for great adventure and/or an interest in great leadership, I urge you to read Perkins'book, preferably in combination with Alexander's.